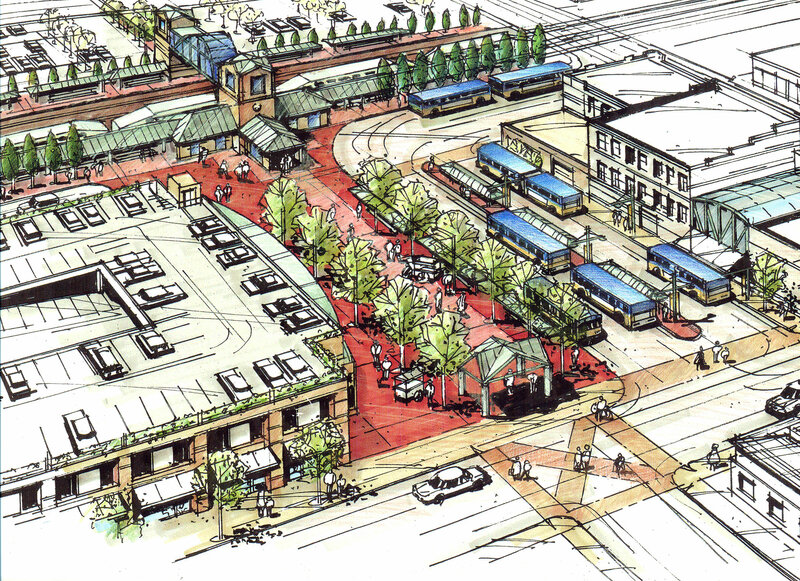 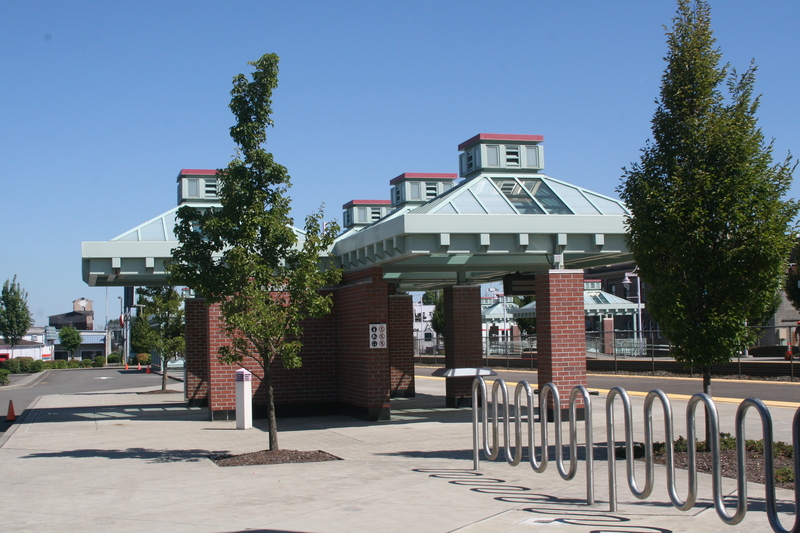 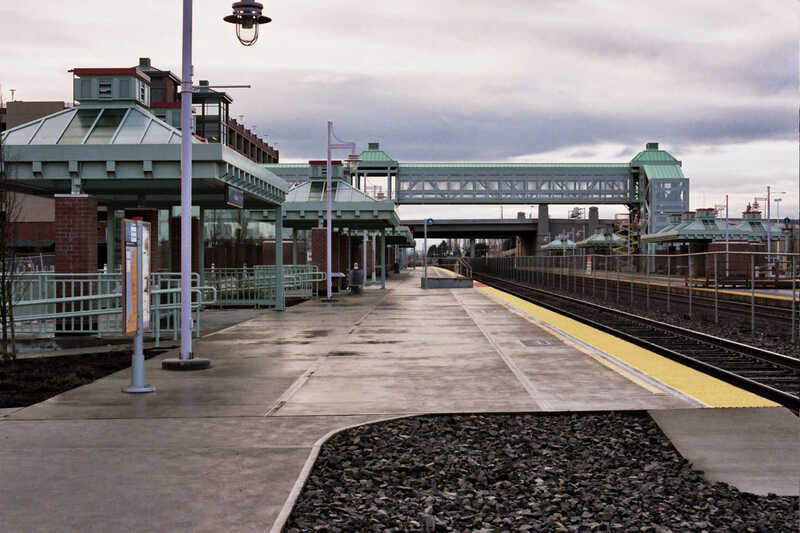 Anil Verma Associates, Inc. (AVA) was the Prime Consultant for the Architecture, Engineering Design and Development of the Auburn Commuter Rail Station and Transit Center. 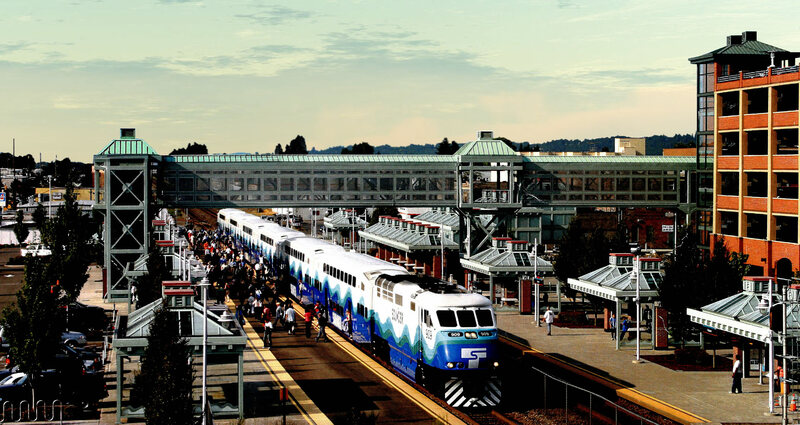 AVA designed and coordinated all the work with Sound Transit, Metro Transit, City of Auburn, and the Citizens Technical Advisory Committee of the City of Auburn. 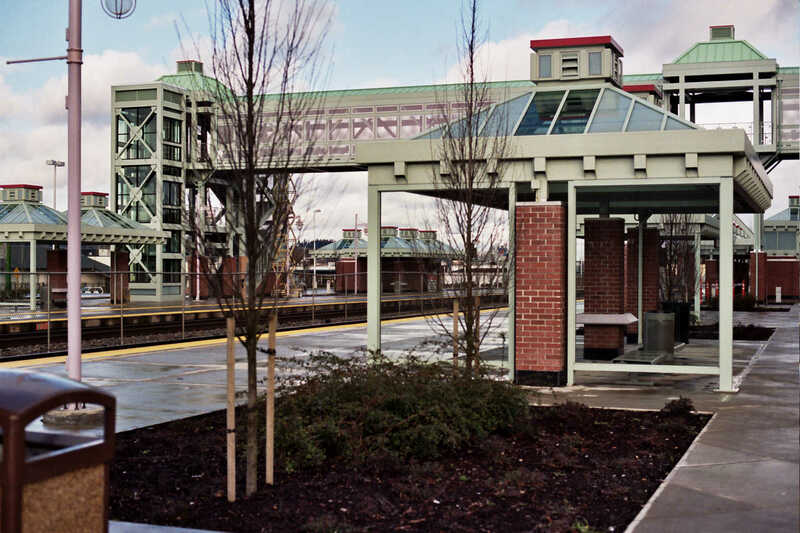 This project was a part of the Commuter Rail Network in the Seattle area. 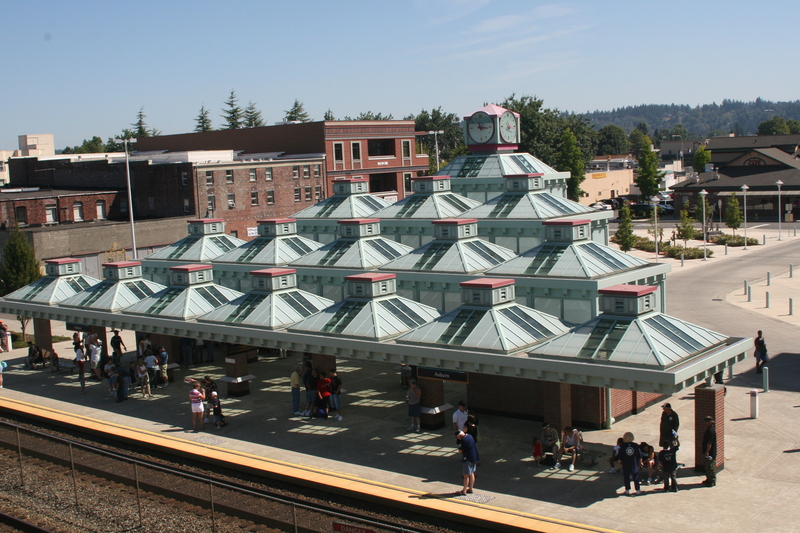 The architecture of Auburn Station pays tribute to the American Indian settlements of the area, and also captures the essence of European and Japanese settlements which followed. 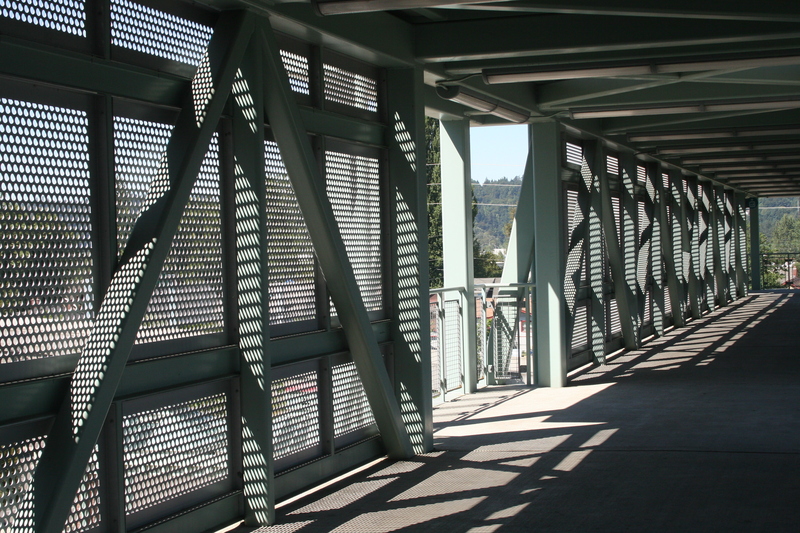 The main structure reflects the vision of tepees, sloped roofs of European settlements and the Japanese pagodas. 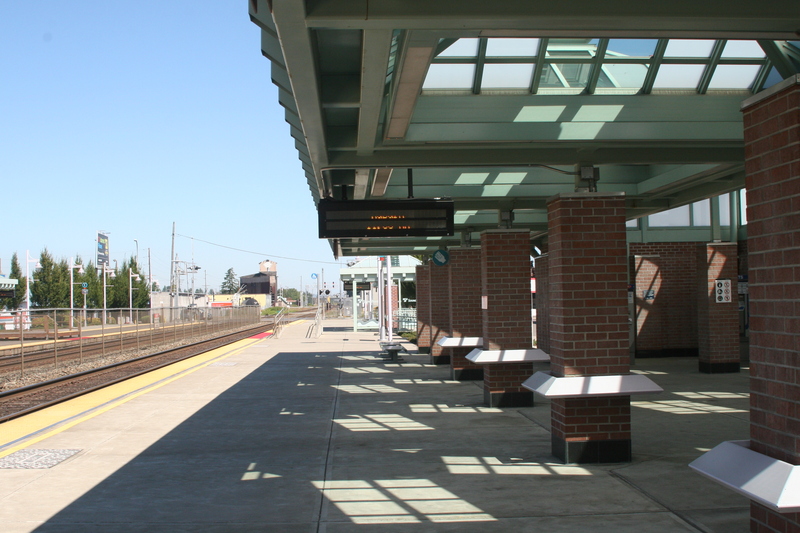 The same architectural theme is followed throughout to make Auburn Station and Transit Center a cohesive and vibrant campus. 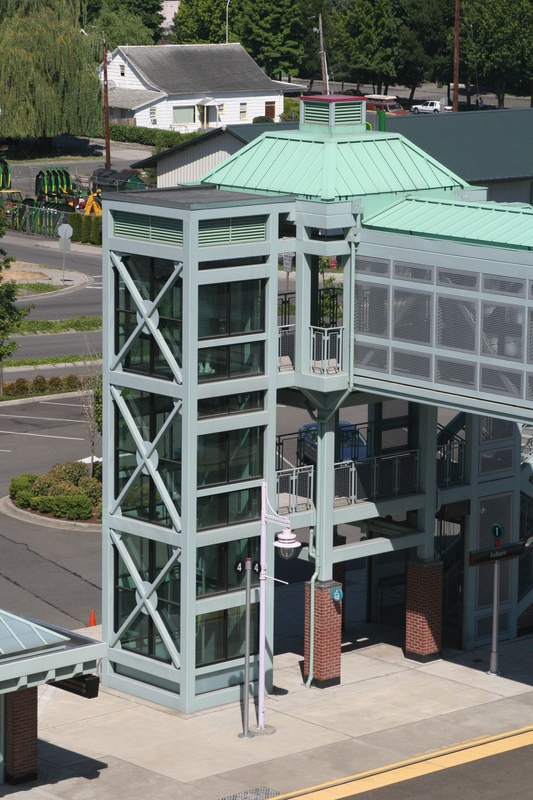 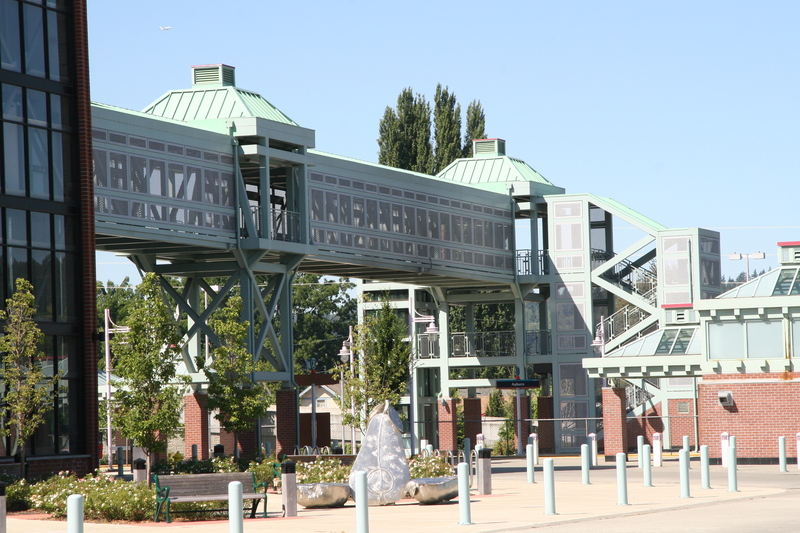 This station received the “Vision 2020 Award” by Puget Sound Regional Council. 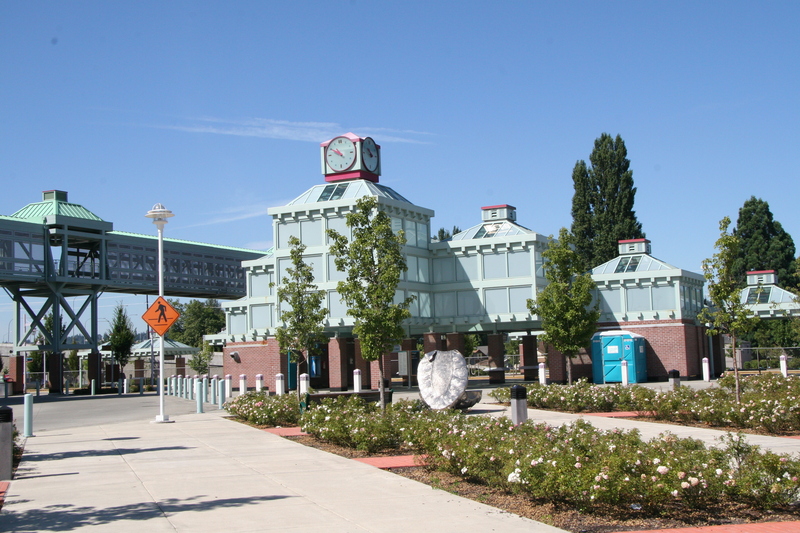 The station and transit center was a joint development project which consists of a major commuter rail station, a bus transit center, retail shops, kiss-n-ride areas, two parking structures for over 1,000 cars and commercial redevelopment adjacent to several new access ramps to Freeway SR18. 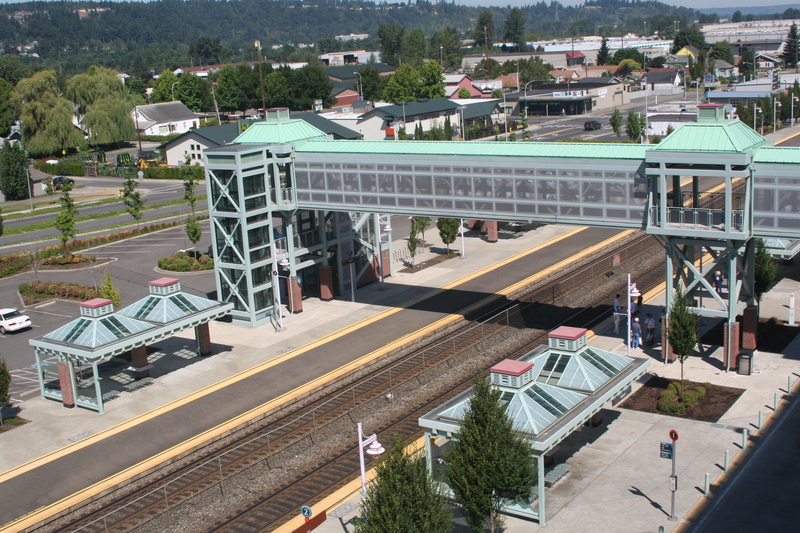 A pedestrian bridge 28 feet above the rail tracks connects the parking structures on the east and west sides of the track. 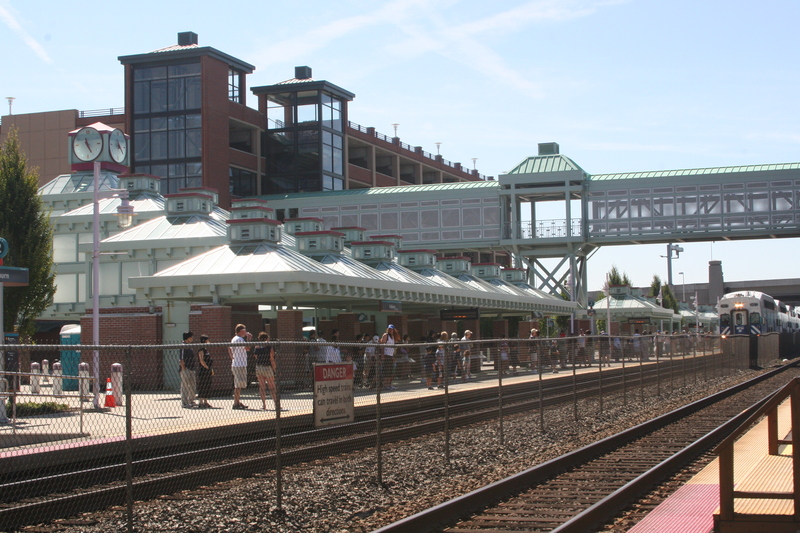 A plaza becomes the center point of development by aligning with First Street and by using an architecturally imposing canopy structure as focal point of the station. 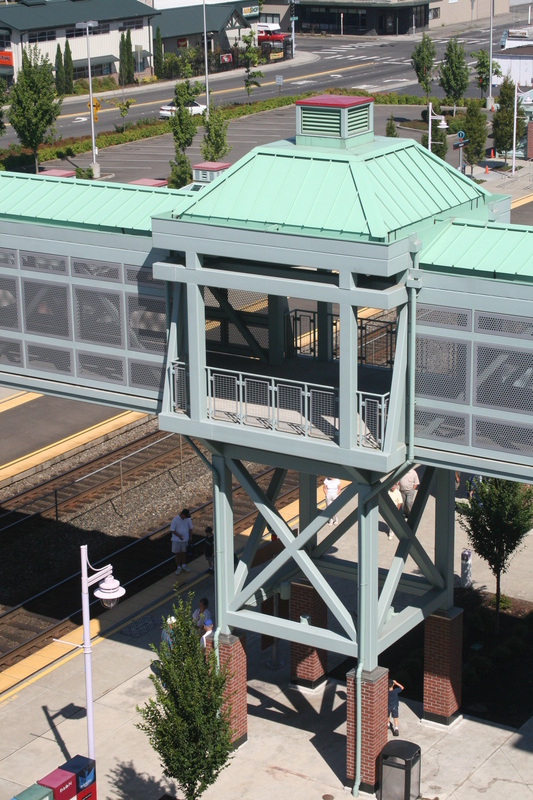 The canopy structure is composed of multiple glass and steel pyramids cascading up to support an elegant four sided clock. 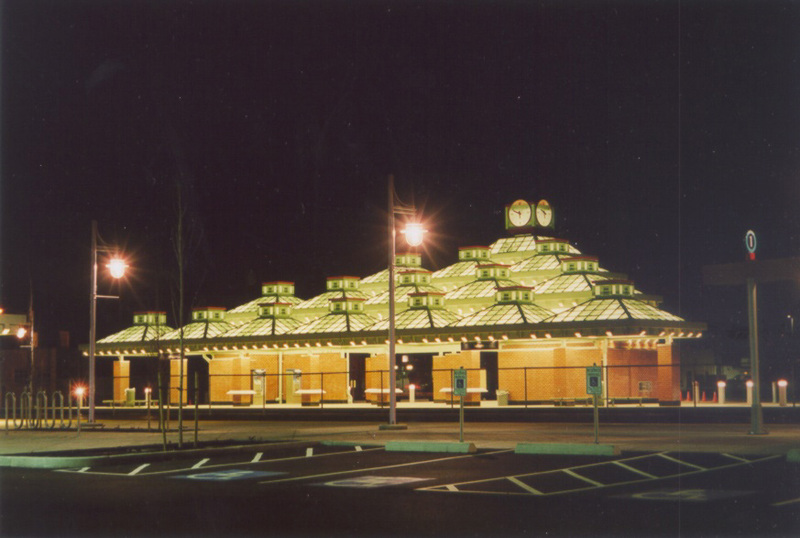 The base of the glass pyramids is surrounded by corbels which house lighting fixtures, creating a very dramatic and festive effect at night. 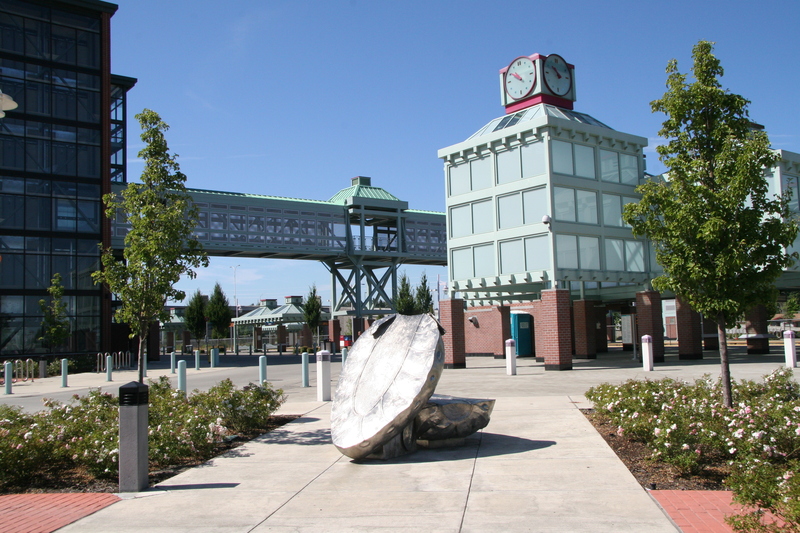 The theme of the pyramid is derived from the teepees (tents) of American Indian tribes which lived in the region, and are also reflective of the European and Japanese influences. 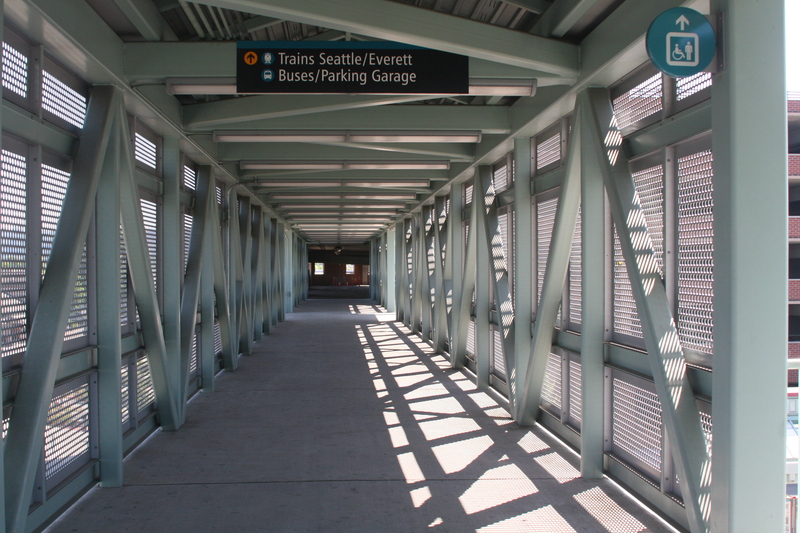 This theme is followed throughout the station complex. 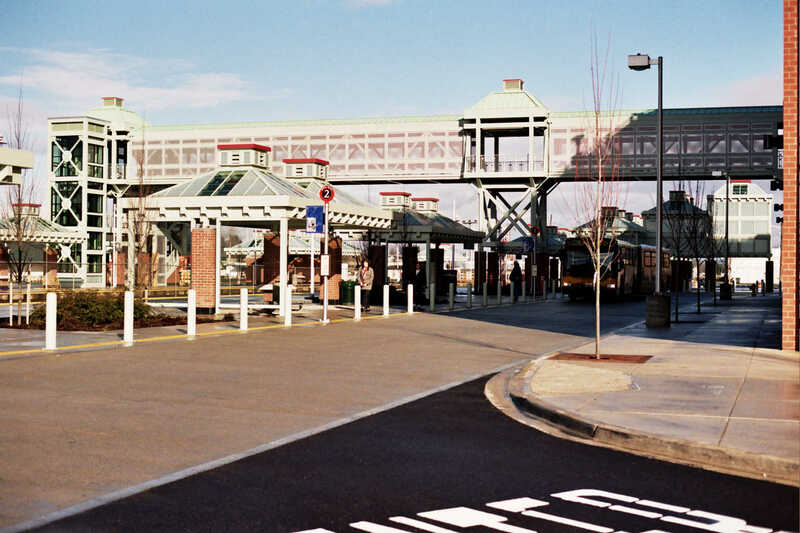 Commuter Rail Station building, pedestrian bridge and access tower, two 1000 ft. rail platforms, pedestrian plaza with clock tower, parking structure for over 1,000 cars with several retail shops at ground level and access lobby and stair/escalator tower, Bus drop off/pick up area for 10 buses, bus passenger canopies, kiss-n-ride areas for 40 cars, shuttle/taxi areas, surface parking, bike parking, landscaping etc., plus a future parking structure.